It sounds crazy, right? The lazy man’s solution to dead grass? Nevertheless, Xtreme Green Grass has been around for years, and their thriving lawn painting business is in high demand this Summer. As the #1 grass painting company in the Sacramento area, this 5-star rated business has been featured on Good Day Sacramento, Fox40, KCRA 3, and the Sacramento Bee for their outstanding and unorthodox solution to the California drought. YES. As illustrated below in the "Before" and "After" photos, a painted lawn looks better than stale water-conserving grass - it may even look better than well-kept, traditional, fresh-cut grass. There's also been neighborhoods with notoriously strict HOAs encouraging homeowners to paint their lawn, as a means to save water. Wouldn’t it kill the grass? With watering guidelines becoming increasingly strict and increasingly penalized, lawn's are dying all over the greater Sacramento area in an effort to follow the rules. Previously well manicured lawns are becoming fragile and brown, and frankly hard to look at. By painting your lawn green, you're reviving the aesthetic of your home and lowering your water usage even further. You'll be saving time and money, and doing your part to save water. Xtreme Green Grass’s services are super affordable! You can call them up and get a quote to have them come paint it for you, or you can try their DIY services and order the paint off their website. The paint lasts for months, too, so you don’t have to worry about constant upkeep! Looking for a more permanent solution? PACE Programs now offer financing for artificial turf! Older PostWant to Boost Home Efficiency this Summer? 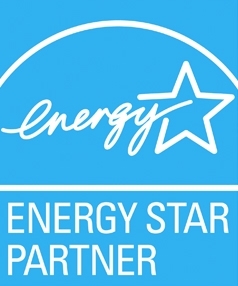 Get an Energy Audit!